🍣 Cook rice as per packet instructions. 🍣 Transfer rice to a large glass or ceramic bowl. Drizzle with rice wine vinegar and sprinkle with sugar and salt. Use a flat spatula to gently fold the sushi seasoning through the rice. Fan the rice while folding to speed the cooling time. Cover dish with a damp tea towel. 🍣 Combine the tuna, green onion, cucumber and mayonnaise in a small bowl. 🍣 Fill a small bowl with cold water. Dip your hands and a 1/4 cup measuring cup in water and shake off excess water. Use the cup to scoop a portion of rice. Place the rice in the palm of one hand and use your fingers to shape into a bowl shape, about 1cm thick. Place 2 teaspoon of tuna mixture in the centre, then lightly press the rice mixture around the filling and use your hands to form it into a ball. Place on a tray and sprinkle lightly with white and black sesame seeds. Repeat with remaining rice, tuna filling and sesame seeds. 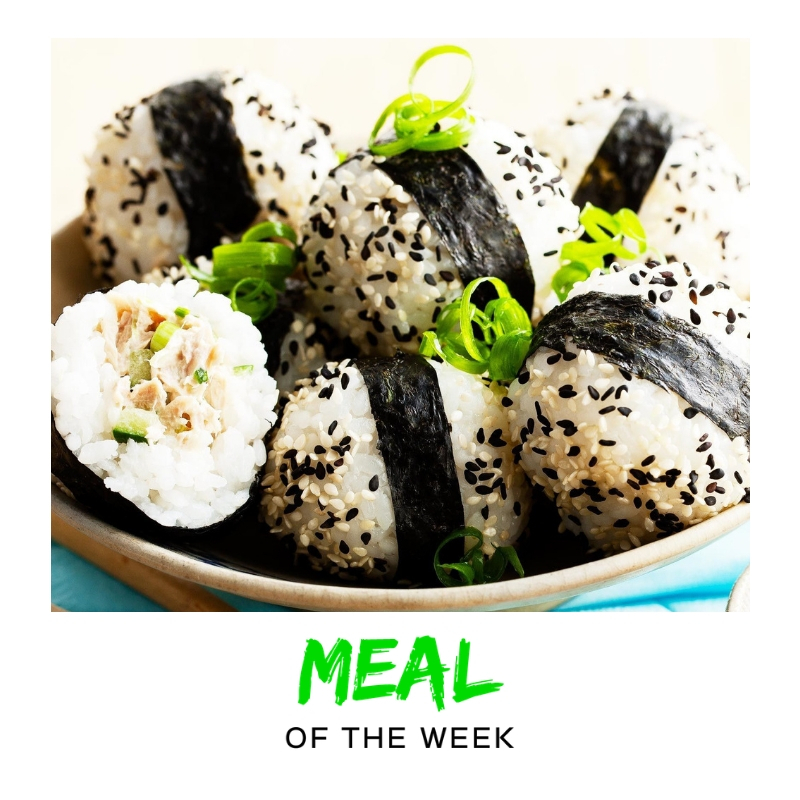 🍣 Serve rice balls with soy sauce, wasabi paste and pickled ginger. Sprinkle with extra green onions to serve.